1. 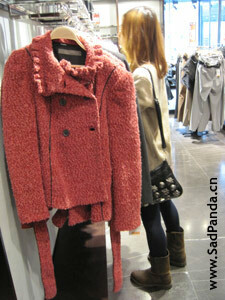 In Gucci and other expensive shops things are more expensive than in Europe. Moreover it seems like all items are seriously outdated. May be Chinese buy unsold stuff from Europe and try to sell it to rich people in China. 2. If you see name of the shop that is familiar to you, like, for example, Zara, don’t expect that style of clothes there will be familiar to you also. 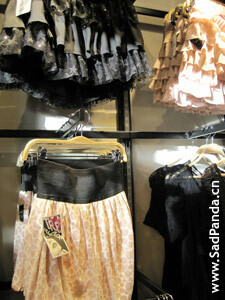 The thing is, that even European brands construct clothes in “Chinese style”, otherwise it will not be popular in China. It means that you will see bright colors, funny prints, childish skirts, strange materials and other unexpected things. 3. If you finally have found something good, don’t be too optimistic. Asian body is different from western (sometimes on clothes you can even see “designed especially for Asian type of body”), it means it will suit you if you have shorter legs, shorter hands and smaller breasts. Therefore try everything on, in order to find something worth. And don’t get confused with the size. 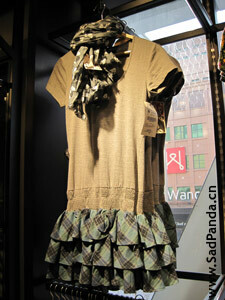 Most of Chinese people are rather short and skinny than tall and fat, so western size 36 is already L in China. Actually the most popular size in S (32), but the good thing is that there are plenty of L’s during sale). Shoes can be a problem too. Chinese feet are traditionally very small, so if you have a big foot you can have trouble finding shoes. And another thing is that big size shoes for women are on very short heel, or without it. So when you go shopping in China don’t forget that you are in Asian country, and it is better to go to places made especially for foreigners.